Today's post was created thanks to some outfits I saw on Pinterest. Yes, I said it. I'm normally not inspired by Pinterest outfits, but today was a different kind of day I guess! 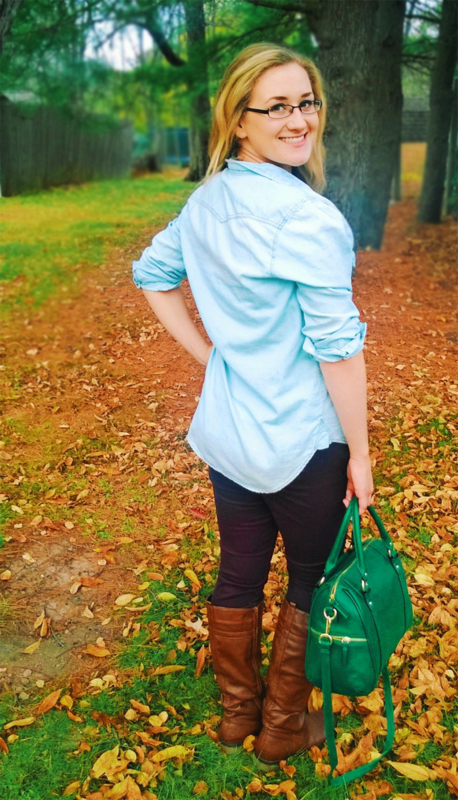 The outfits used a mixture of jewel tones and autumn browns, and it really inspired me when I created my outfit today. I love that this look is slightly risky as well. Mixing jewel tones? It sounds cliche! Growing up I was told to never mix gold with silver, or blue with black. But I obviously didn't listen. As some of you know, I was the kid that grew up wearing heart shaped sunglasses everywhere I went....even in the winter. 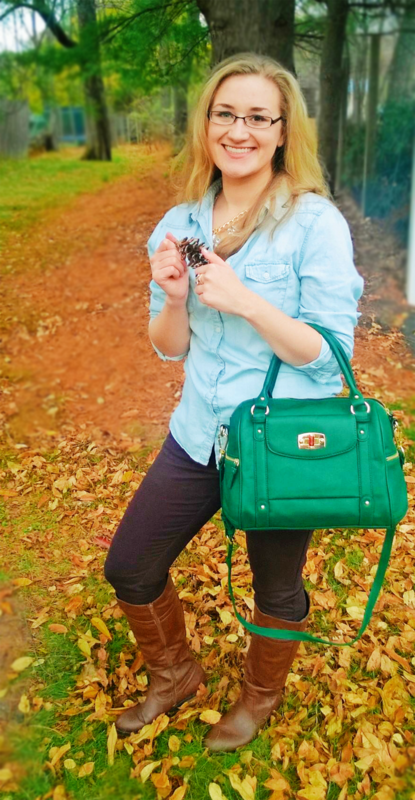 So my take on today's outfit was to pair my favorite chambray shirt with wine colored pants, an emerald green bag and some polished brown boots. 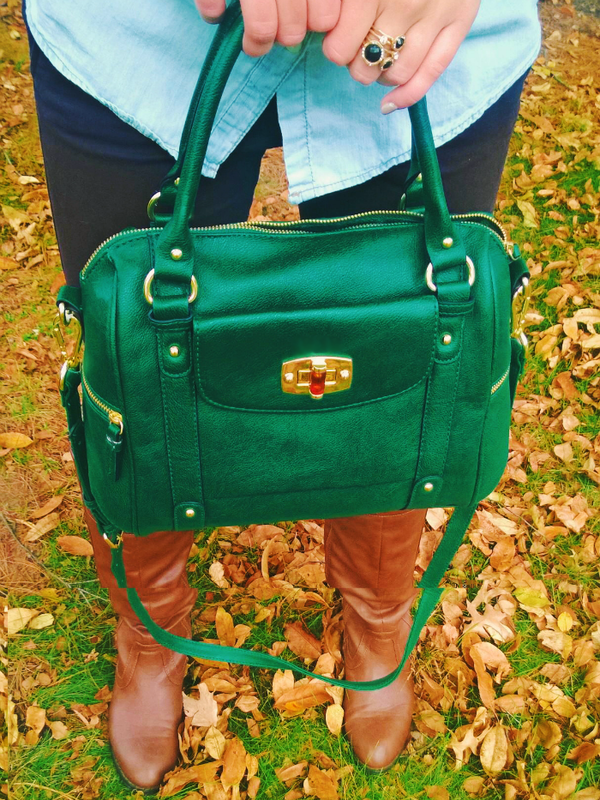 I think the deep aubergine color of the pants really help emphasize the emerald in the bag, as well as the tortoise toggle! To make the outfit a little more fun I also added some of my favorite jewelry. I hope you guys love it as much as I do! **FYI: All In Pink jewelry is 40% off with the code FORTYNOV ....whoo! Hope all is going well with everyone! Wishing you all a wonderful week as always! Thanks so much to my latest followers! I'm at 110 on Pinterest and I almost had a heart attack when I saw it.